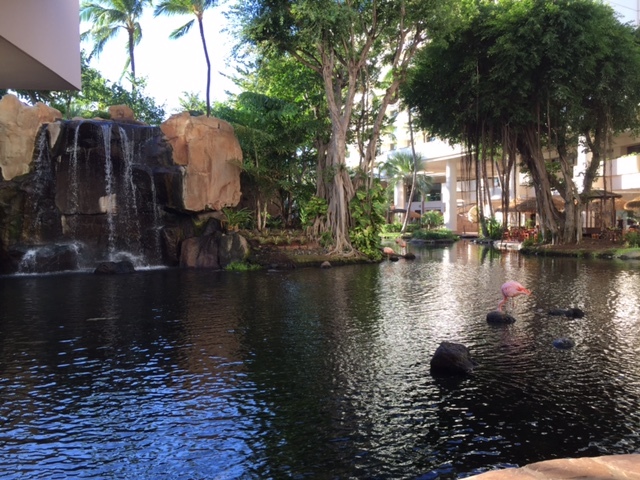 Our time in Kihei is done and we are moving to the Westin Kaanapali for our last 3 nights in Hawaii. 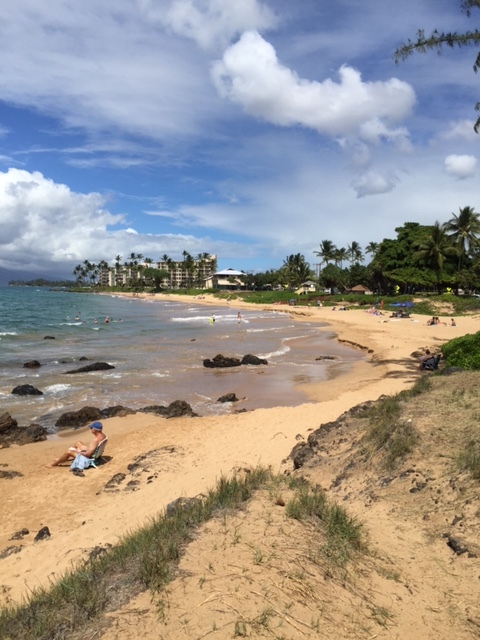 Kihei and Kaanapali are 30 minutes apart but a world away. 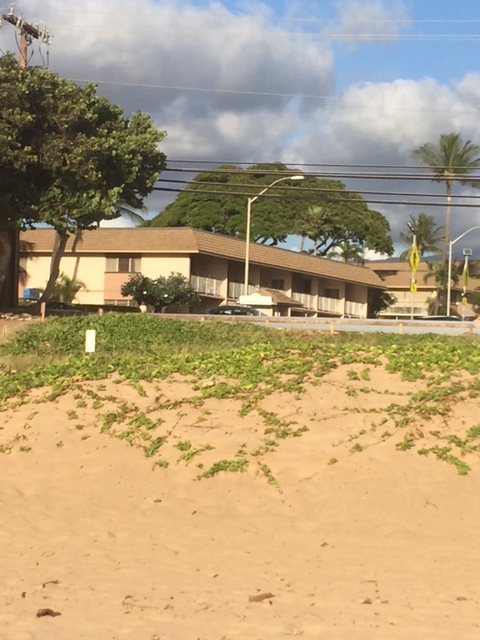 Kihei is low key and quite and Kaanapali is high end and busy. The hotels that line this beach are higher priced but most think it’s worth it. The beach here is beautiful and stretches at least a mile. There is a path that runs between the ocean and the hotels for easy access to everything. In the middle is Whalers Village with plenty is shopping and ladies take out your wallets for the outlet mall in Lahaina. The shopping here is like a dream. The prices here are a little higher than Kihei but they do have an ABC store in Whalers Village to get everything you need. There is something about Hawaii that keeps us coming back. I can’t really explain it. It’s just something you have to experience. 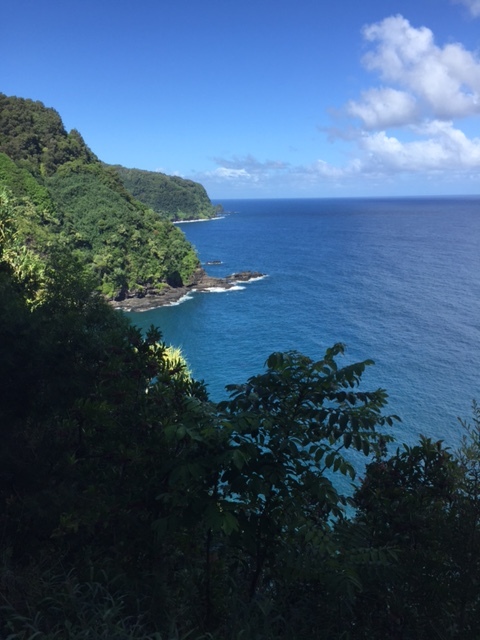 After 2 relaxing days at the beach we decided to do something I have always wanted to do but never found the time: We are going to do the Road to Hana. Lots has been written about this trek and I think I have read them all. We are fortunate to have the Road to Hana CD in our condo so we took that along for reference. In all the books it says to stop in at Hana Picnic Lunch Co. for a lunch to take along and to get all the up to date Hana weather, road conditions and info to enjoy your trip. Truth is, they must pay a lot for that advertising as they asked us about getting the CD and bug spray and that was it. To be fair the girl there was very nice and the food was good, but you could pack your own lunch or eat at one of he many stops on the highway. There is also a gas station right next door that sells food and styrofoam coolers. If anything I would recommend a stop here for the smoothie. It was perfect. – It is a long day and will leave you with more time to hit some spots along the way. – Get gas before you get to Paia. The gas stations there were more expensive and were really busy. – Take your runners not your sandals if you are wanting to trek to some of the falls. The trails are wet and muddy. – Stop as often as you can. There are so many great places to stop and hike in to see falls or to just look at the coast line. Some places are pretty high up so the views are fantastic. 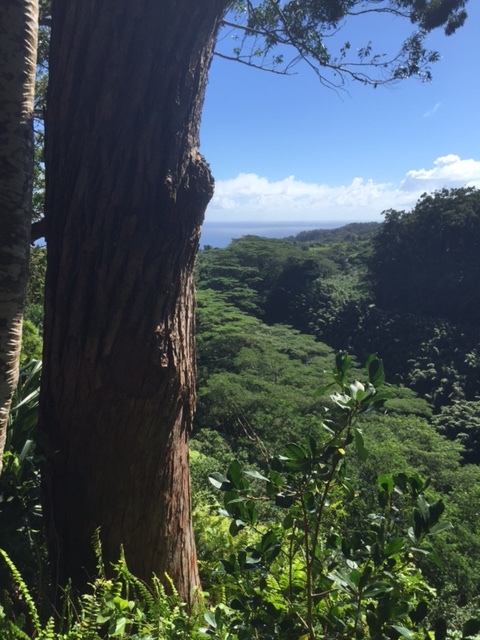 – Stop at Halfway to Hana for some of the best banana bread you will ever eat. We arrived just as it was coming out of the oven. It doesn’t get better than that. About 15 mins before you hit Hana you will come across about 5 restaurants all side by side. From the amount of cars parked there I would assume they have great food. We opted to continue to Hana bay to eat our lunch we purchased in Paia. Yes the roads are narrow and winding and you have to drive slow but it is an experience you shouldn’t miss. We left Paia at 9:00 ( I know I didn’t take my own advice about leaving early but wished I did) and got back around 4:00 so it is a long day but was so much fun. Another thing off the bucket list. We had the chance to fly on Air Canada’s new product Rouge. This is their no frills flight from Vancouver to Maui. There is a charge for meals with water, pop, and coffee free. It was great to be greeted by a lot of young flight attendants happy to welcome you aboard. Nothing was too much trouble for them and they were happy to get everyone settled and on our way. There are no screens on the aircraft. They do supply a wide range of movies and TV shows, but you need to supply your own tablet or smartphone. The catch is that you have to download the app before you fly. If you don’t, then your only option is to rent a tablet from them for $10.00. We arrived in Maui 10 mins early and our luggage was off within 20 minutes. We then went off to pickup our shuttle for our car rental. We booked a car rental with Advantage, but they are not located in the car rental building so you have to go out the front doors and stand by pole 2 in order to be picked up. The shuttle comes every 10 mins and it’s not long before we had our car and went our on our way to South Kihei. 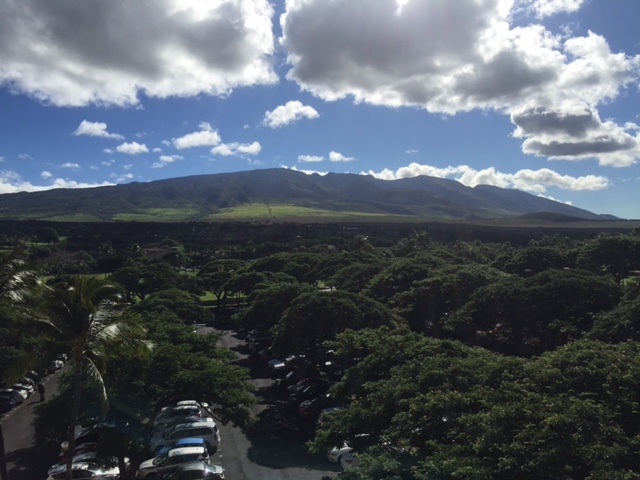 We decided to rent a condo in South Kihei that was recommended to us. It is the Kihei Kai Nani and is in a great location right across the street from Kamaole Beach Park II. We are in the first building so we are literally minutes from the beach. The condo has been recently renovated and is beautiful and clean. 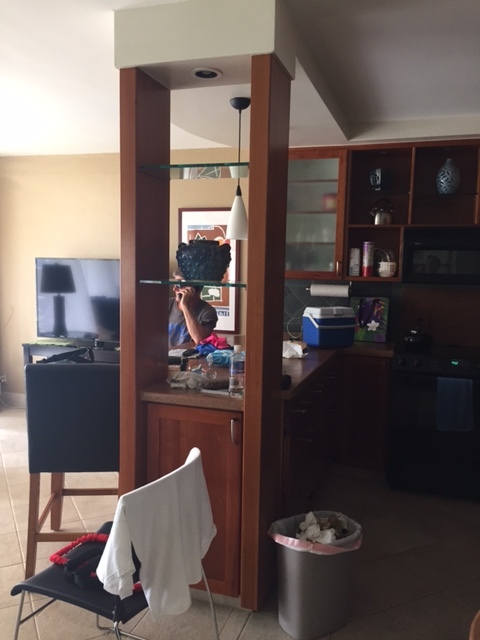 I love staying in a condo for many reasons – one of them being that we have a separate bedroom, we can cook some of our own meals and they usually come with all the beach toys. We have beach chairs, beach umbrella, beach towels, boogie boards, snorkel equipment. There are also floaty toys and beach toys which is great if you have kids. All you need to do is show up. 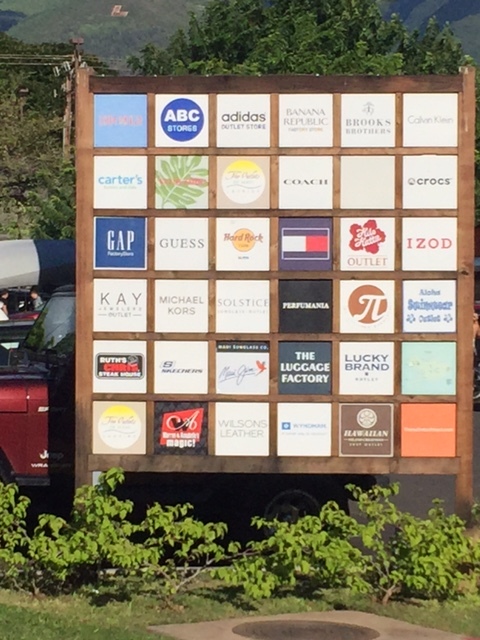 We are also right next door to Moose McGillycuddy’s and many other great restaurants and shops. Contact me and I can give you the details on this condo. You won’t be disappointed.